A traumatic brain injury (TBI) is caused by a sudden jolt or penetrating blow to the head that impacts the brain and disrupts brain function. Traumatic brain injuries can have life-changing effects on victims and their families alike. TBIs often require extensive emergency medical treatment and long-term care. In some cases, TBIs can lead to permanent disability or death. The Oklahoma personal injury lawyers at Carr & Carr Attorneys at Law understand the physical challenges and financial hardships that accompany brain injuries, and we work hard to recover the financial security TBI victims and their families need. If you or a loved one suffered a brain injury caused by another’s negligence, please call us at 888-241-3130 to arrange your free consultation or contact us online to tell us your story now. 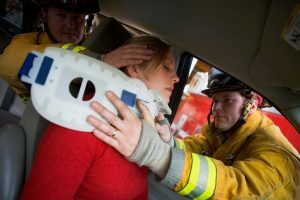 Motor vehicle accidents are among the most common causes of brain injuries. The Oklahoma State Department of Health considers TBIs a “serious public health problem.” On average, more than 3,000 Oklahomans suffer traumatic brain injuries each year. Children and senior citizens are especially vulnerable to complications from brain injuries. Severe TBIs may lead to a vegetative state or be fatal. Slip-and-fall accidents are common sources of brain injuries among the elderly. TBI symptoms vary greatly, and some may appear immediately following the trauma while others may take days or weeks to become evident. If you or a family member sustained head trauma, it’s a good idea to seek medical attention as soon as possible, even if no obvious signs of brain injuries are instantly noticeable. In 2016, the Oklahoma Legislature standardized return-to-play protocols for youth sports athletes suspected of suffering a head or brain injury. In recent years, many parents have become familiar with TBIs through youth sports, particularly football. In 2016, the Oklahoma Legislature passed a law standardizing return-to-play protocols for youth-sports players. Schools, coaches, trainers and game officials must follow the new protocols to ensure head injuries are assessed and monitored carefully. Among other things, Oklahoma’s law demands professional medical clearance for any player suspected of having a concussion or head injury. If a child suffers a brain injury and the proper protocols were not followed, the negligent parties may be held liable for resulting medical expenses and other damages. The long-term costs of a TBI often exceed $1 million, according to the U.S. Centers for Disease Control and Prevention (CDC). If another’s negligence led to a brain injury, the victim and his or her family members may be entitled to compensation. If the brain injury resulted in death, our lawyers may be able to help surviving family members pursue compensation through a wrongful death claim. 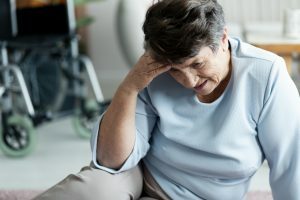 Financial compensation obviously can’t cure a brain injury or replace a loved one, but it can help victims and their families cope with the recovery process and move forward with their lives. At Carr & Carr, we offer free consultations to answer your questions and help you understand your legal rights. Our attorneys also work on a contingent-fee basis, which means you don’t pay for our services unless we recover on your behalf. Please call us at 888-241-3130 or contact us online to schedule your complimentary, no-obligation consultation. We serve clients from across Oklahoma and northwest Arkansas via offices in Tulsa, Oklahoma City, and Springdale, AR.